Happy National Taco Day!!! If you haven’t noticed, I am a Taco addict (see my list of favorites below!) and these are some AMAZING tacos if there ever were some! 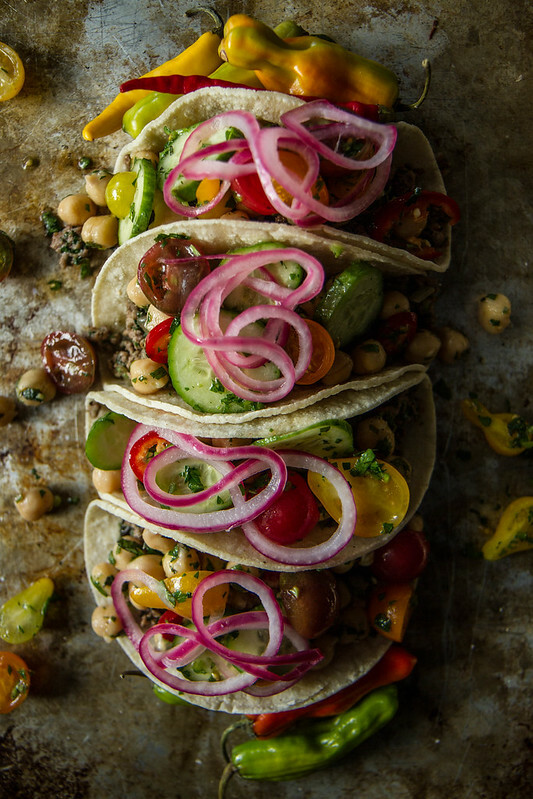 Totally out there in the realm of what I could put in a corn tortilla and call a taco, these GREEK TACOS are an intoxicating blend of cinnamon scented ground lamb, fresh herbs, garlicky chickpeas and fresh cucumber and tomato salad. So it’s kind of like all the regular elements (ground meat, beans and fresh topping with onions) But substantially more exciting! We were actually laid up all weekend. Remember when I said that one kid was down and so I ran out and got a flu shot? Turns out I went and got a flu shot on top of the STREP THROAT that I didn’t realize I had. So, I am sure that you can imagine that my immune system reeeeaaaally enjoyed that. Pia and I finally got antibiotics on Saturday afternoon, so things are better- but I definitely spent most of the weekend sleeping or wishing I was sleeping. 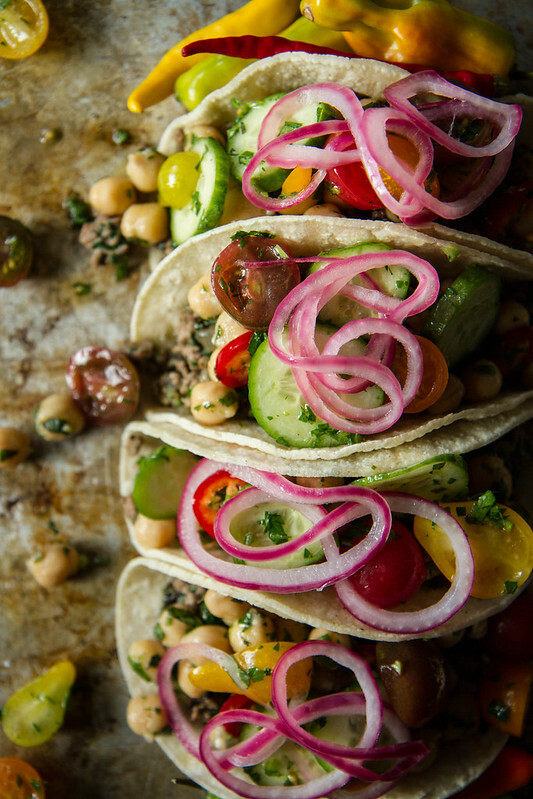 Another perfect looking taco recipe! These are gorgeous! Taco makes me world go round. Why can’t everyday be ping pond, Can Jam and Taco’s? These look super awesome. Nice color too. And I’m a guy. Hope you are feeling better soon! Can’t wait to try Greek tacos. What a great idea. Oh my goodness love these tacos!! What amazing flavors!!! thank you Jenny! they are awesome flavors together! I’m all over these! Tacos are always a huge hit in my home. So mad I missed national taco day today!! i totally didn’t celebrate, haha..i guess i can still make these for dinner though!!! G- you would love these! They are pretty- but I promise you they are perfectly delicious and you SHOULD eat them! It’s my lucky day for stopping by today!!! This Greek taco is calling my name. Pinning to try soon. Thanks, Heather! Thank you Suzy!! I hope you like them! 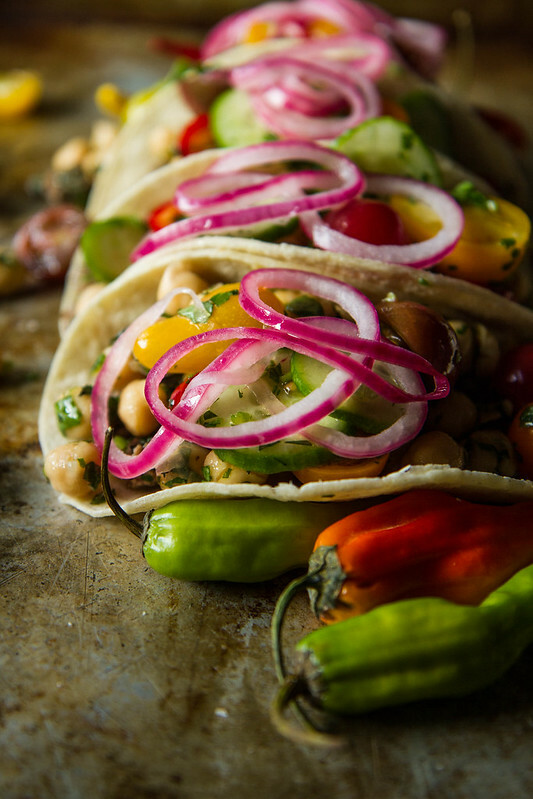 These tacos look beyond fab, love the Greek spin! Oh lady! This one has it all… I’m a sucker for lamb, a sucker for tacos… you’re killing me! Also a sucker for moody cookie sheet shots <3 Love it. Wow oh wow! 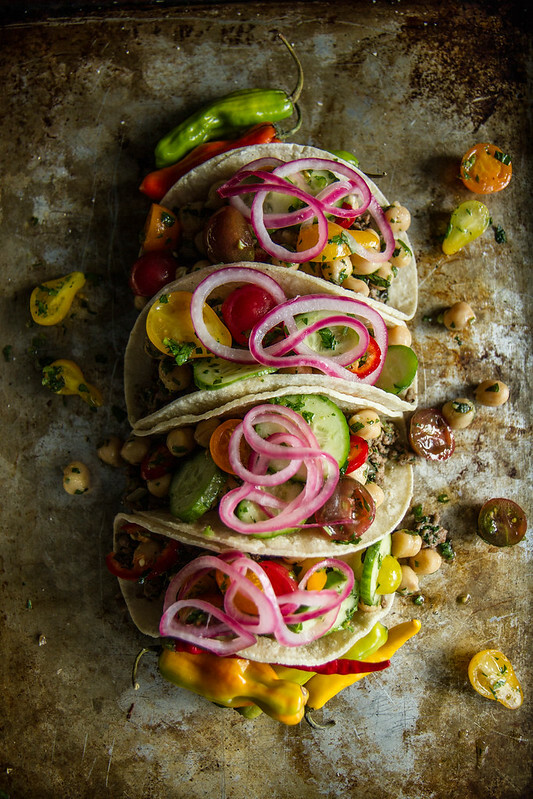 These tacos look so incredibly scrumptious. Dori- they honestly are so good! You won’t regret making them! Can I sub in a different meat in for lamb? Would I need to change the spices?